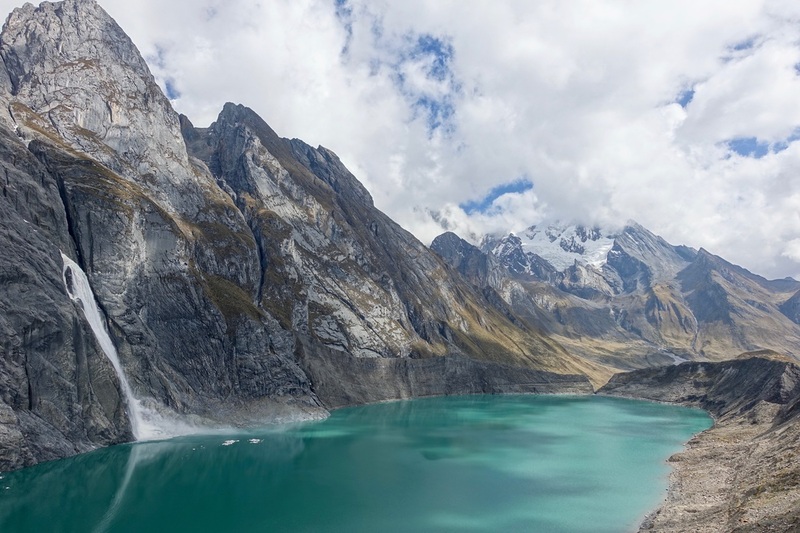 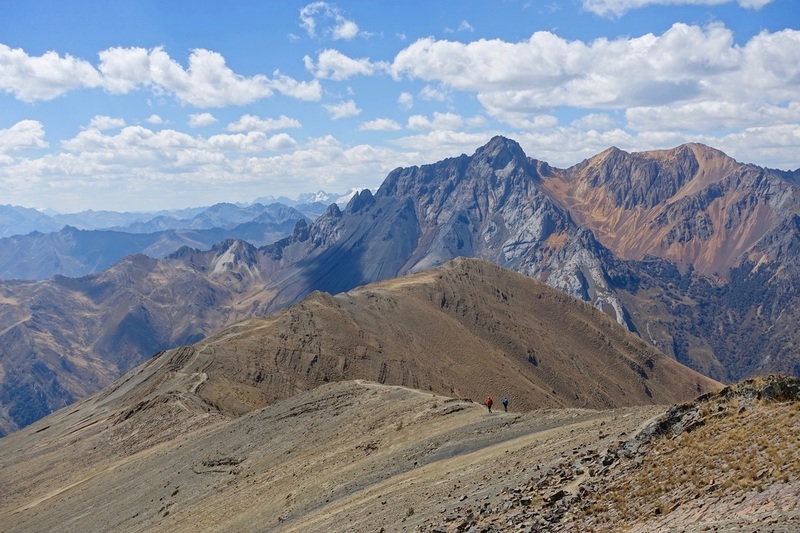 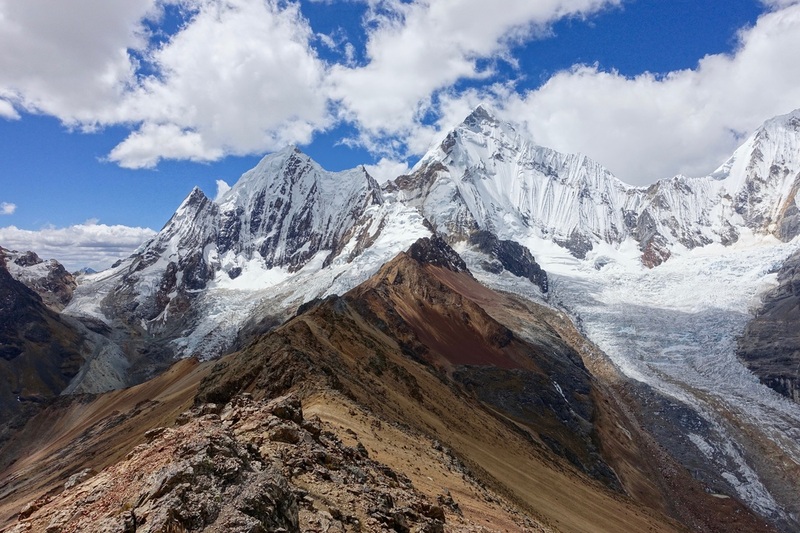 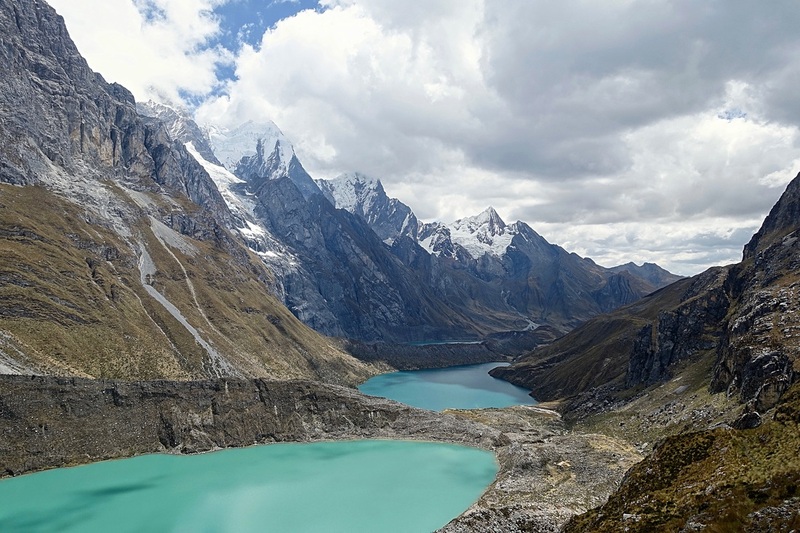 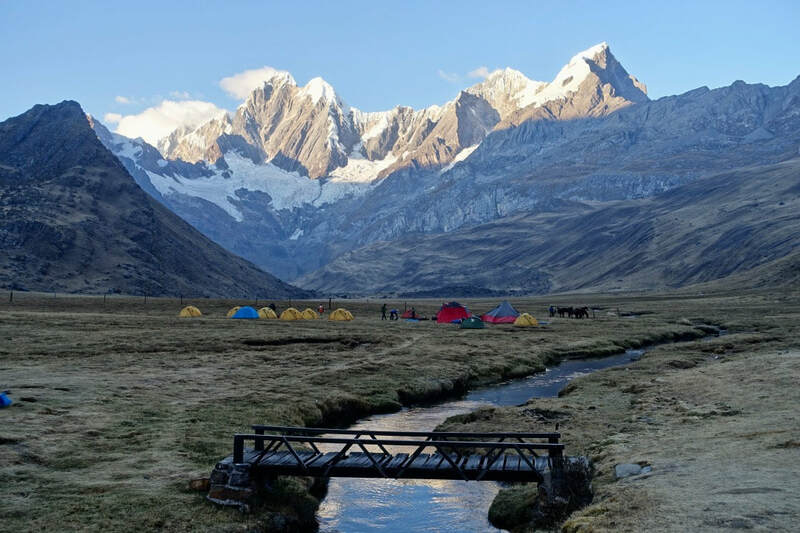 The ten day circuit trek around the Cordillera Huayhuash is one of the most beautiful places I have been. 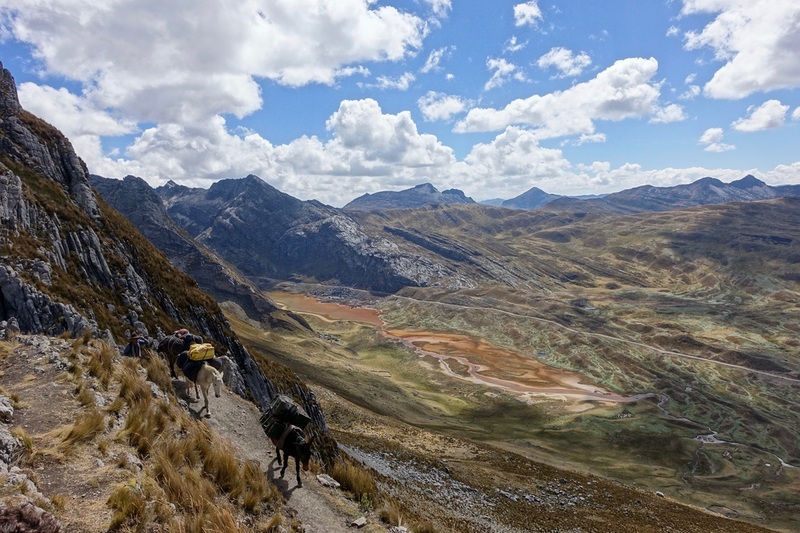 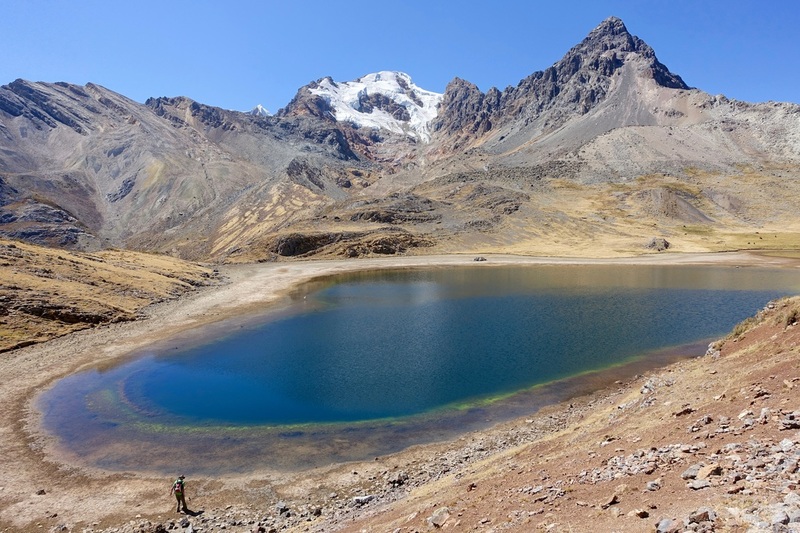 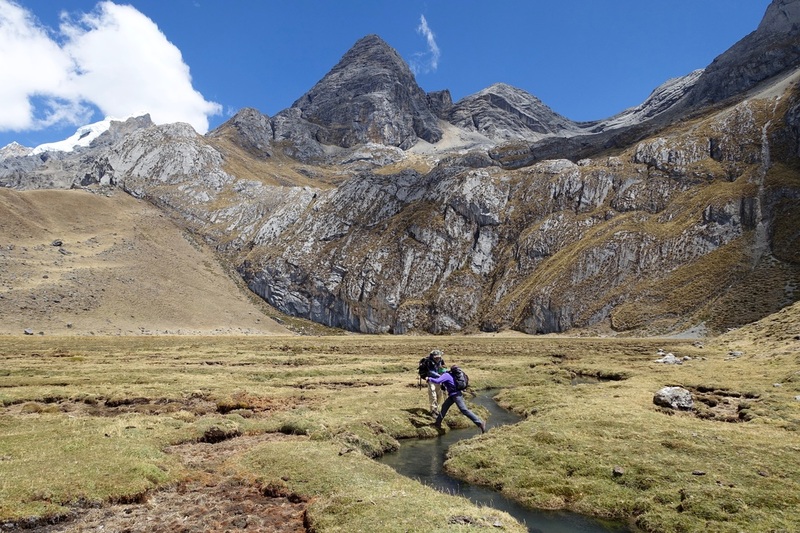 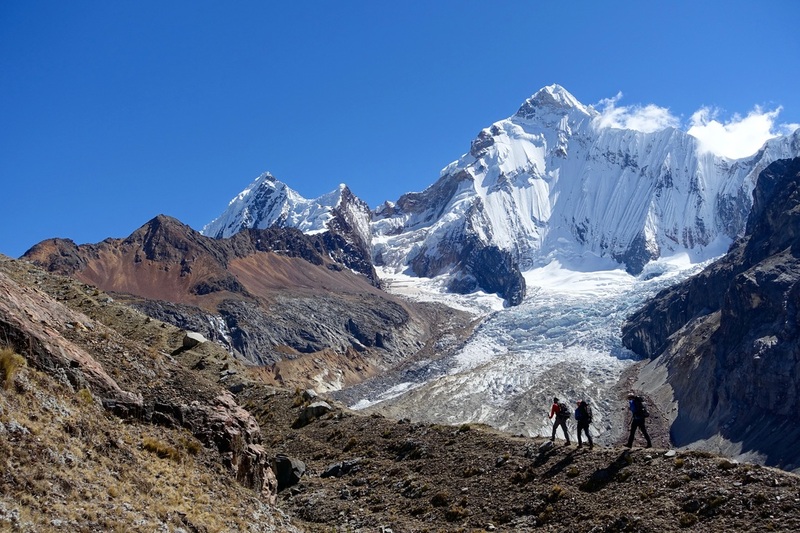 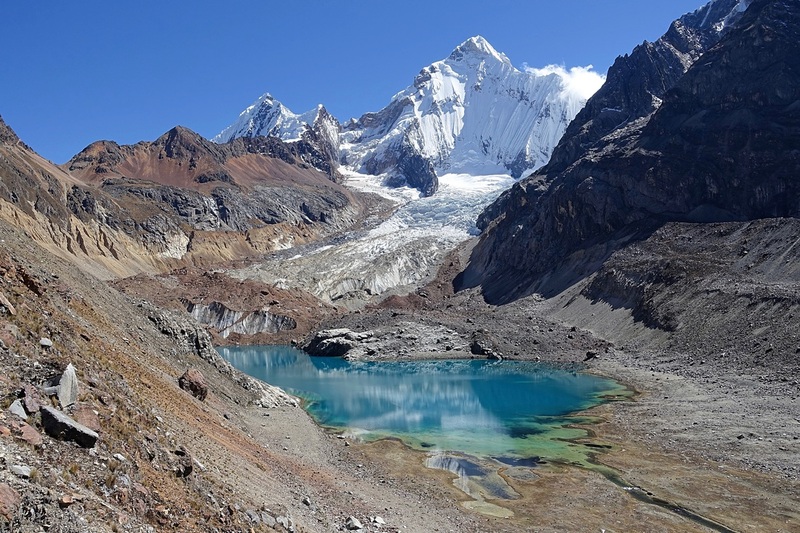 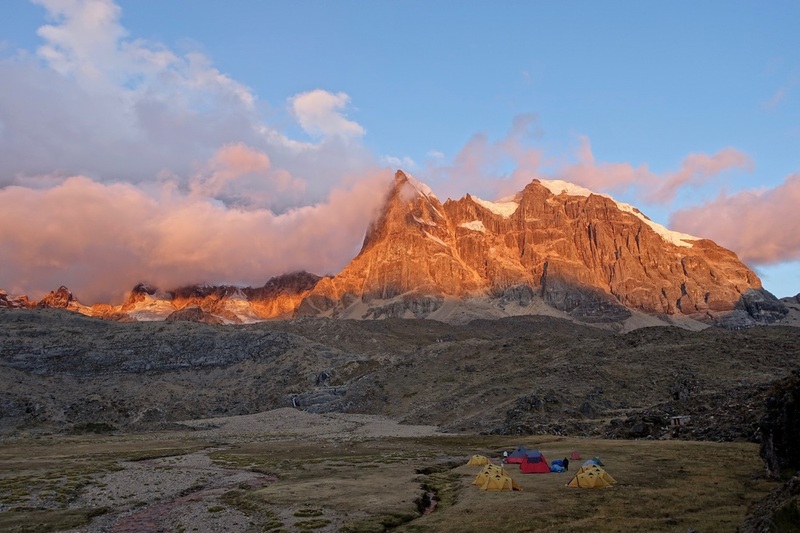 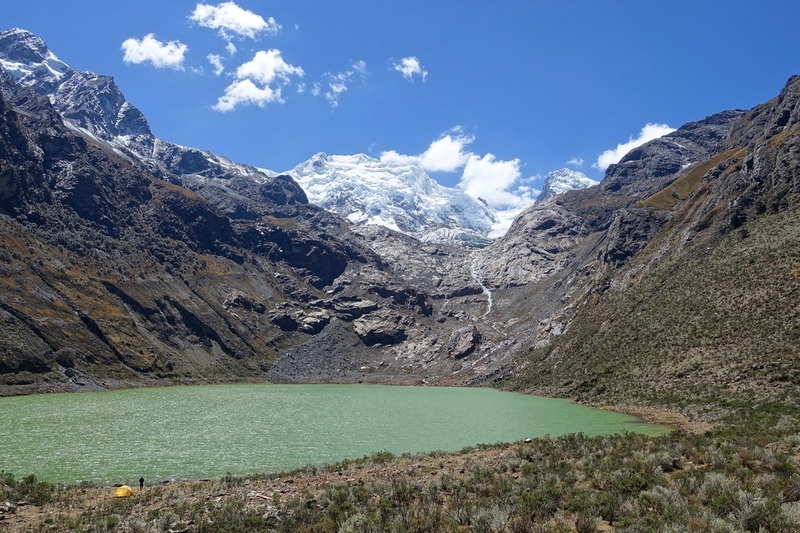 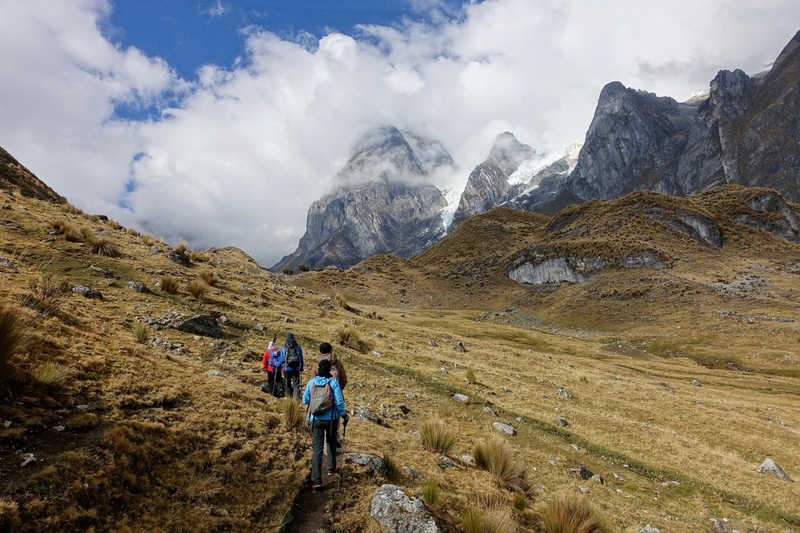 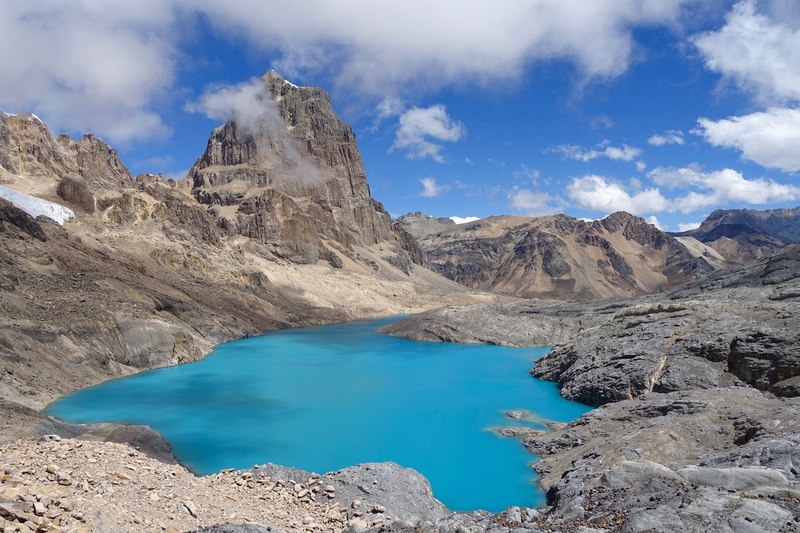 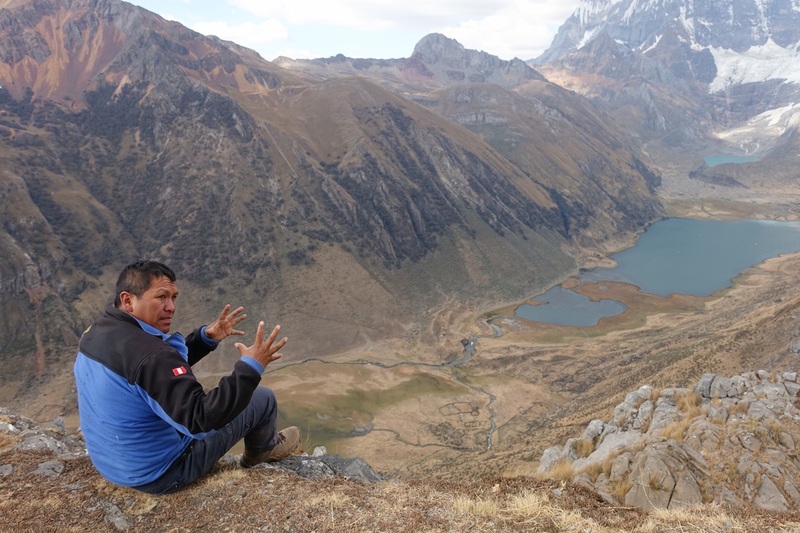 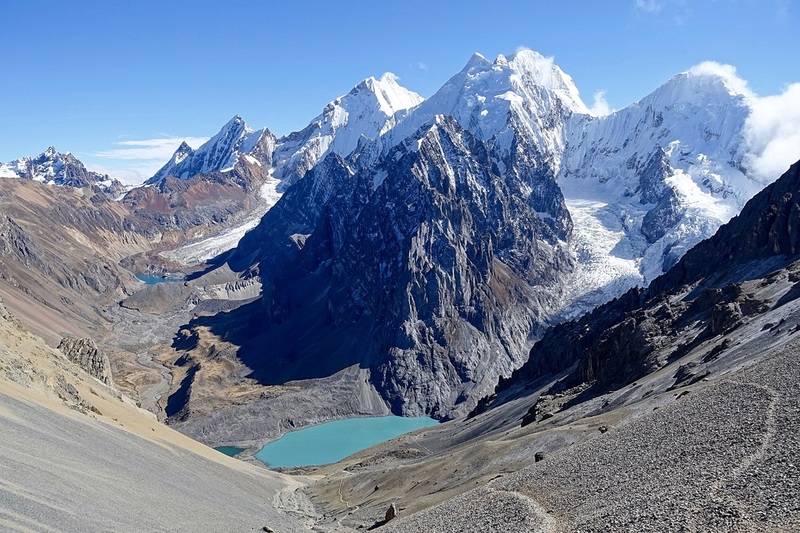 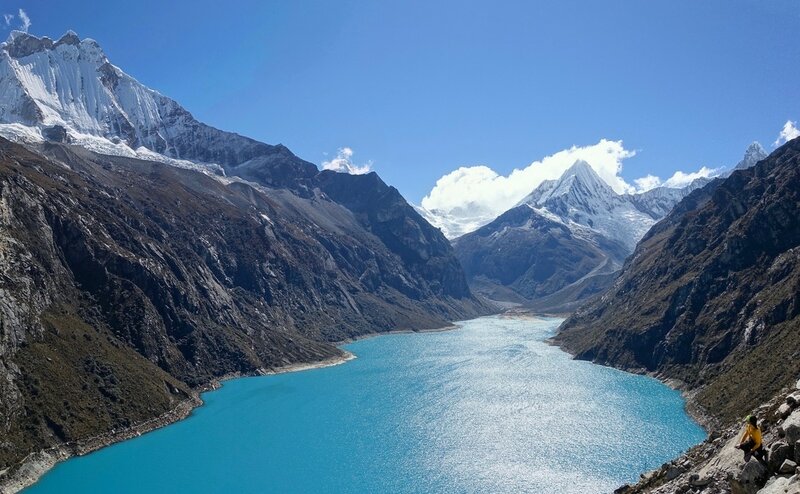 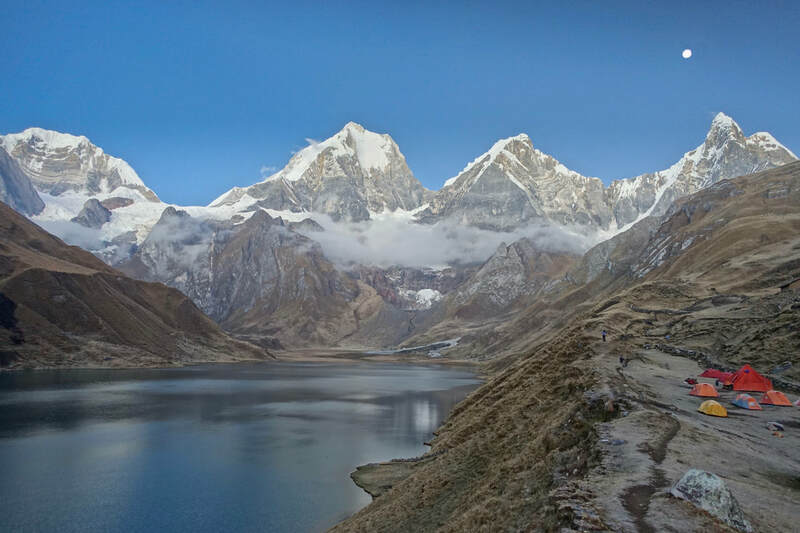 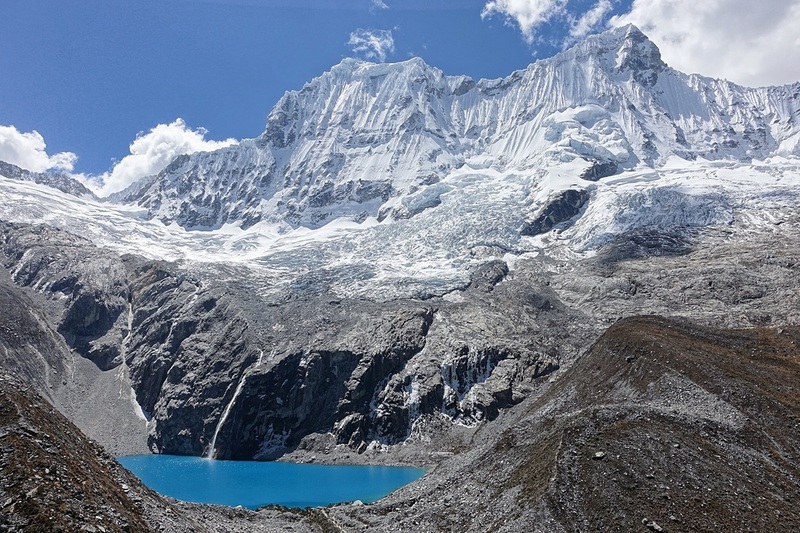 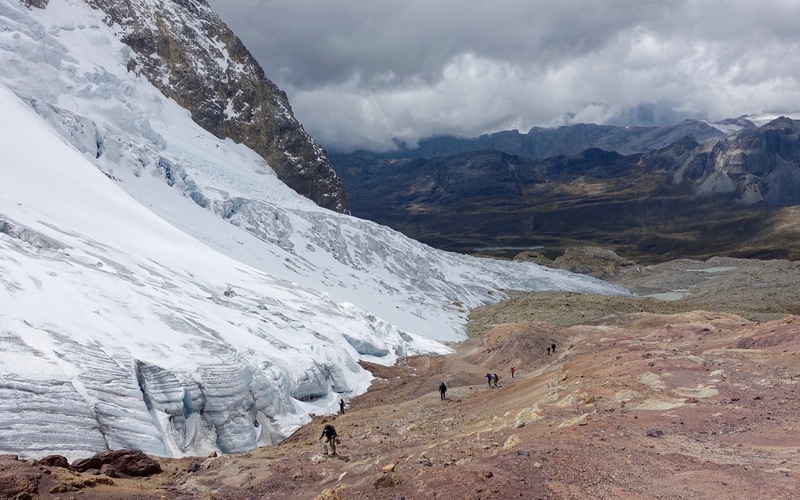 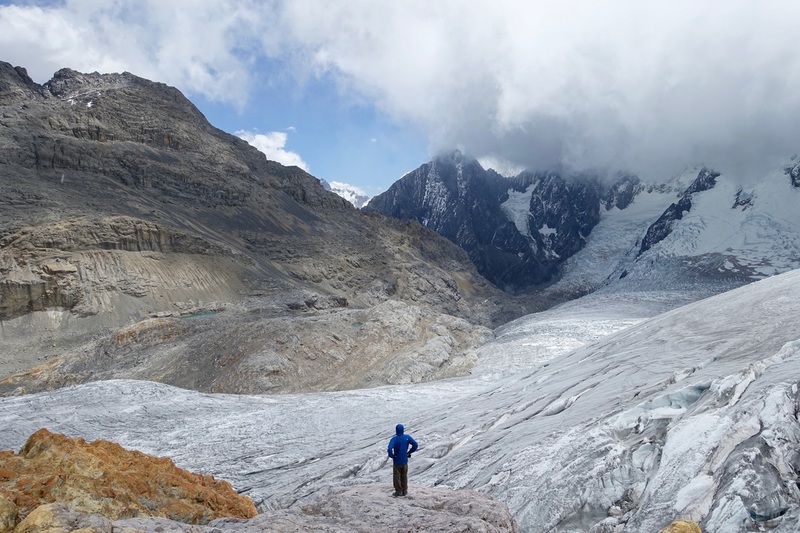 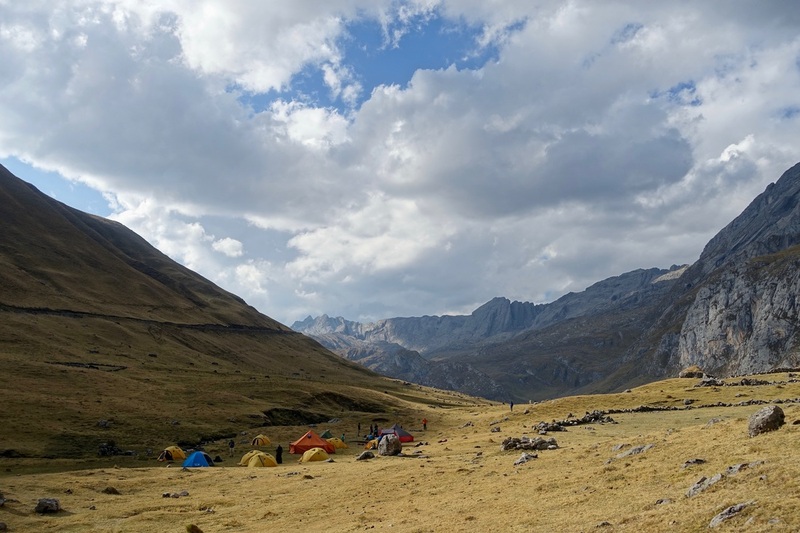 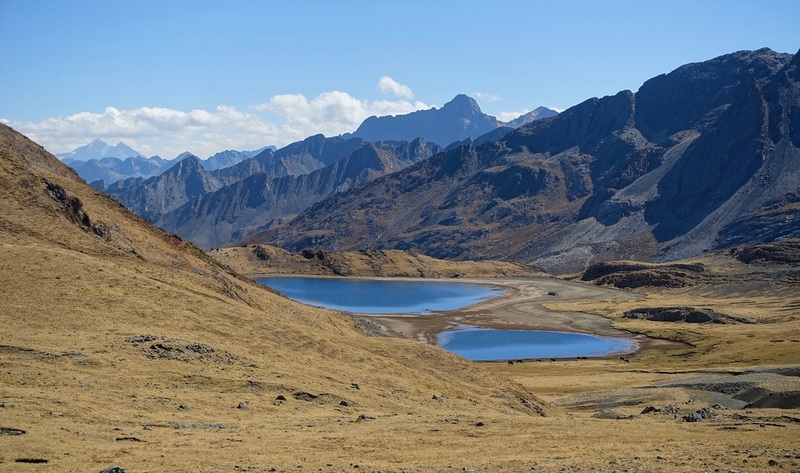 I used the Quechuandes agency in Huaraz to organize the trek, starting in Matacancha and ending in Llamac. 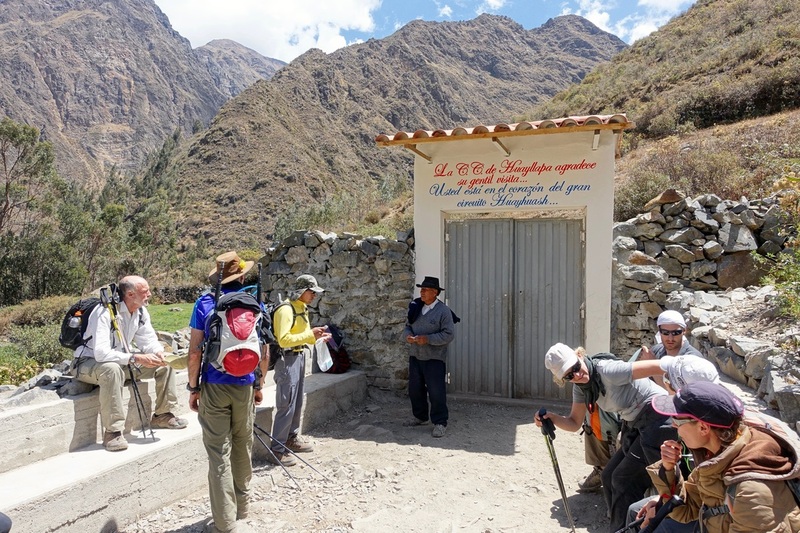 If doing the hike independently, it may be easier to start and finish in Llamac, which has more regular public transport. 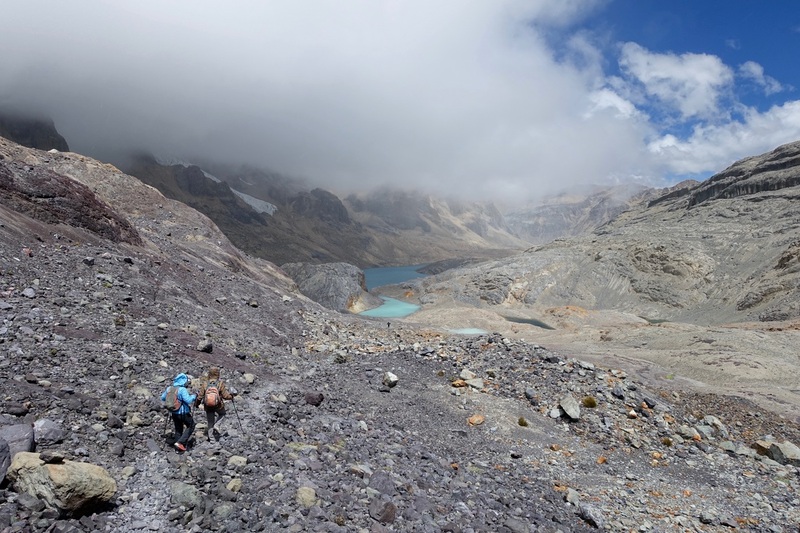 (Day three) Ricardo led us off trail on the high route above Laguna Mitucocha. 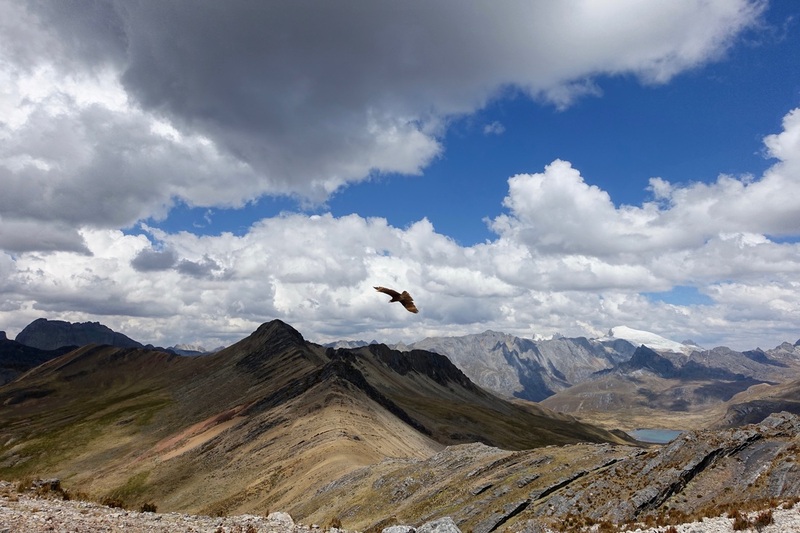 Walter found some condor wings in the valley. 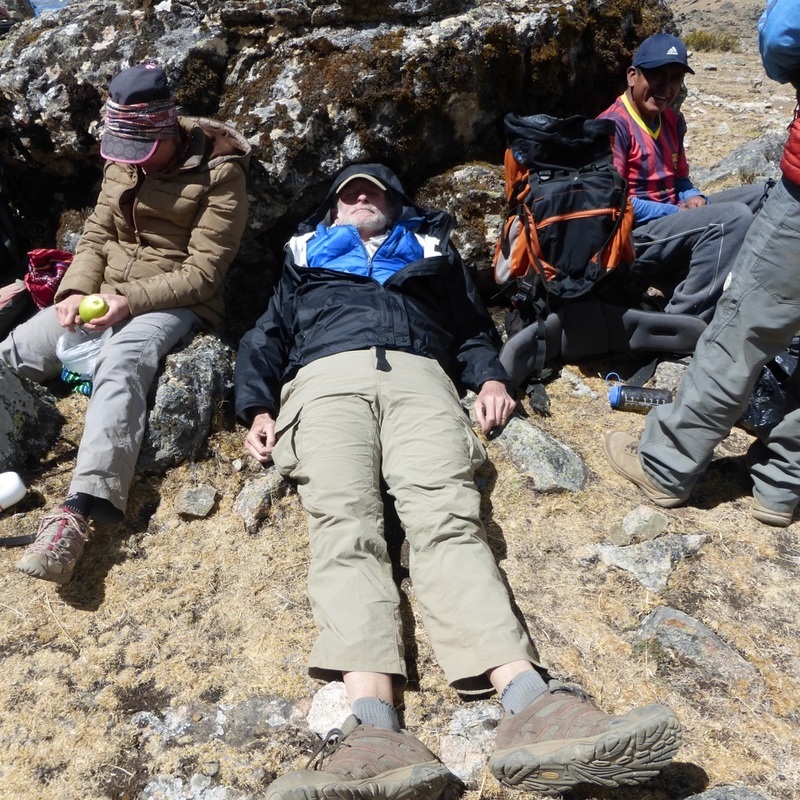 (Day four) We climbed along the eastern side of the mountain range to the three lakes lookout, where we had avocado tic tic for lunch. 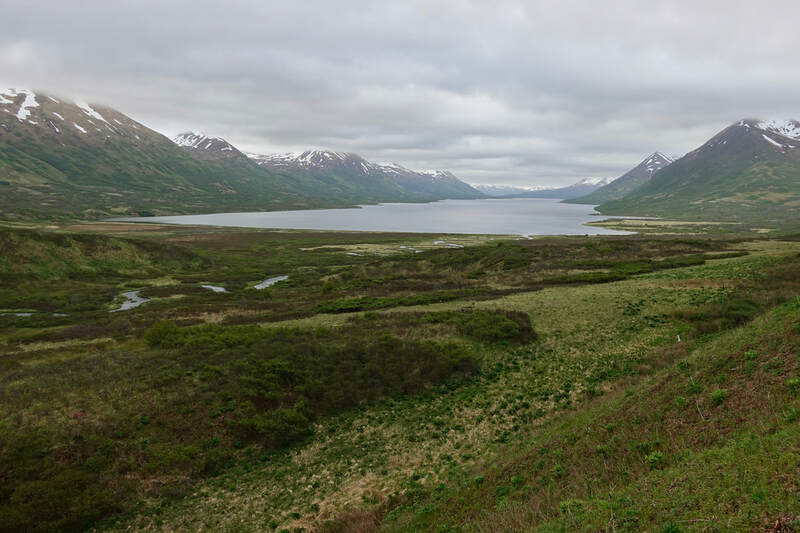 (Day five) Our trip had a unique itinerary. 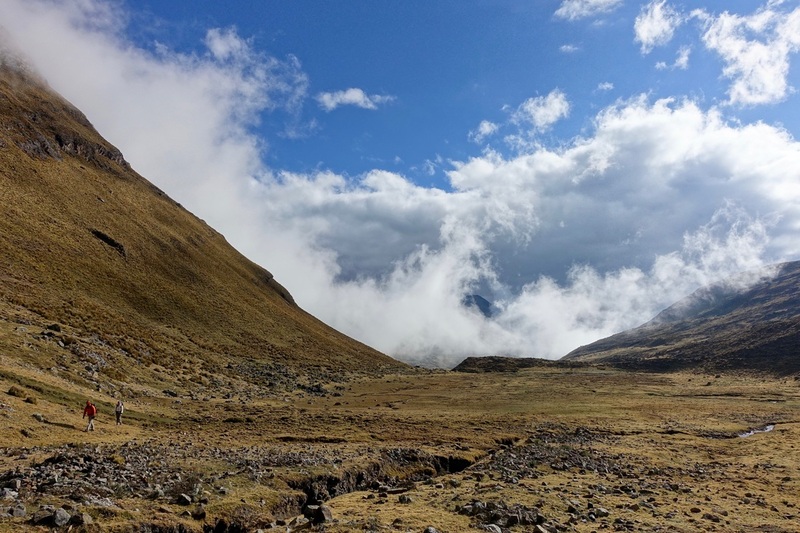 Sebastien and Anne did a bunch of research and decided upon going over Trapecio Pass instead of the normal route through Viconga near the hot springs. 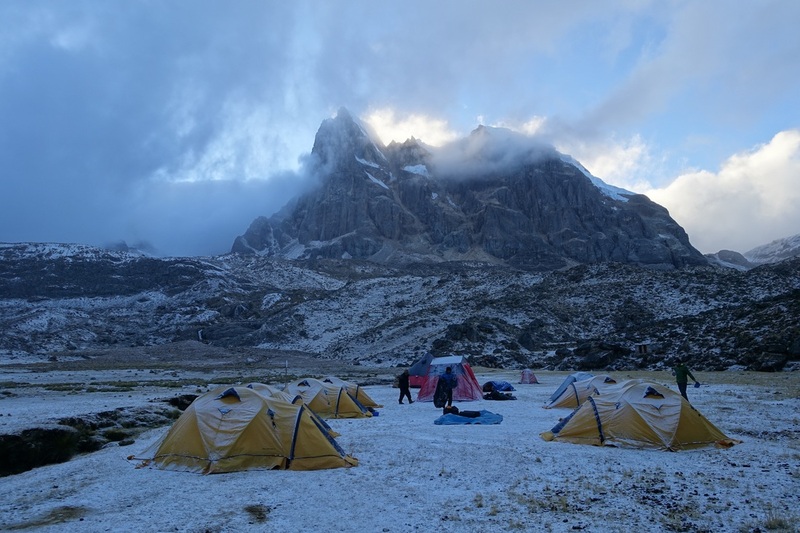 (Day six) We woke to a fresh coat of snow and climbed to Jurau Pass, the highest point on the trail and the best view of the circuit. 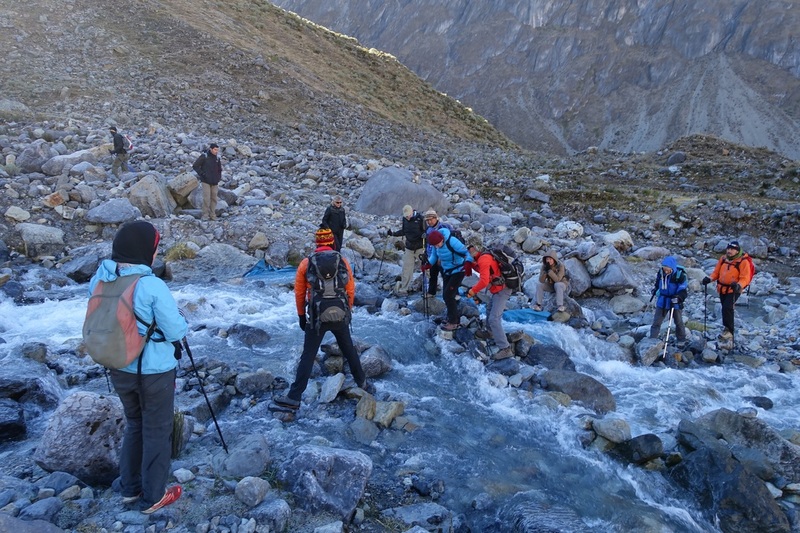 (Day seven) I particularly like this photo of our group working together. 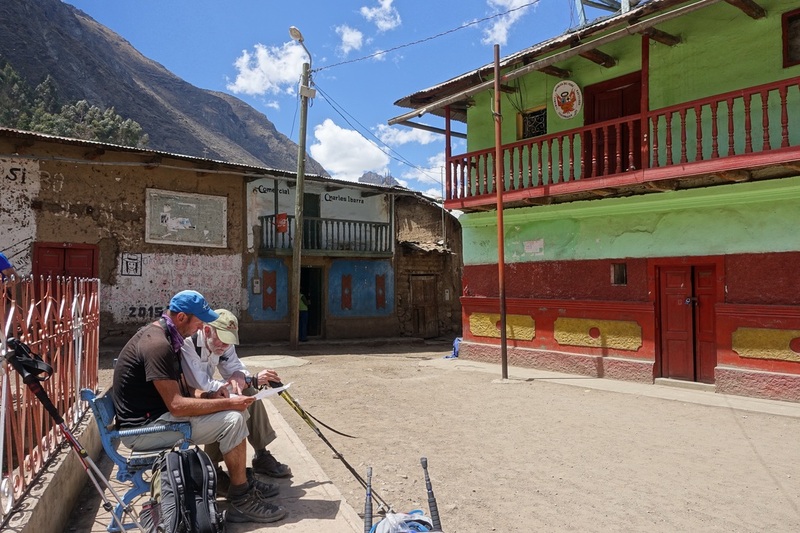 Crystal is praying and Will is wondering off looking for a better way. 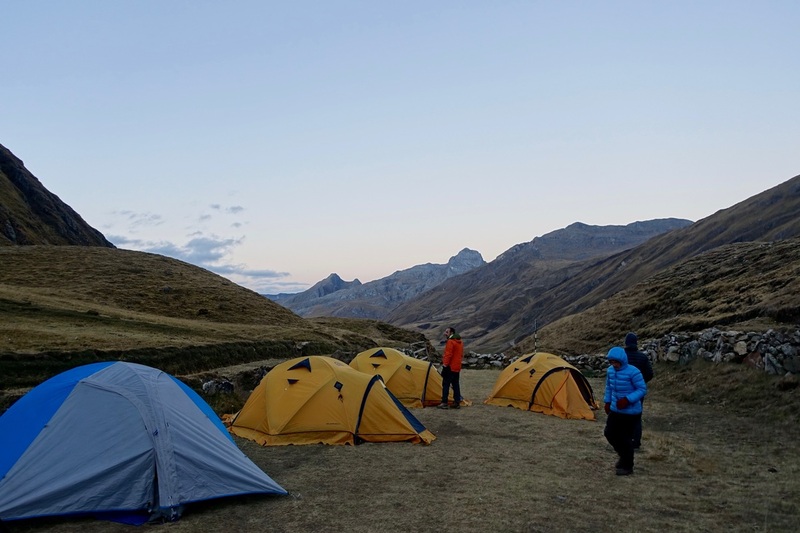 Base camp for Simon Yates and Joe Simpson in the Touching the Void experience. 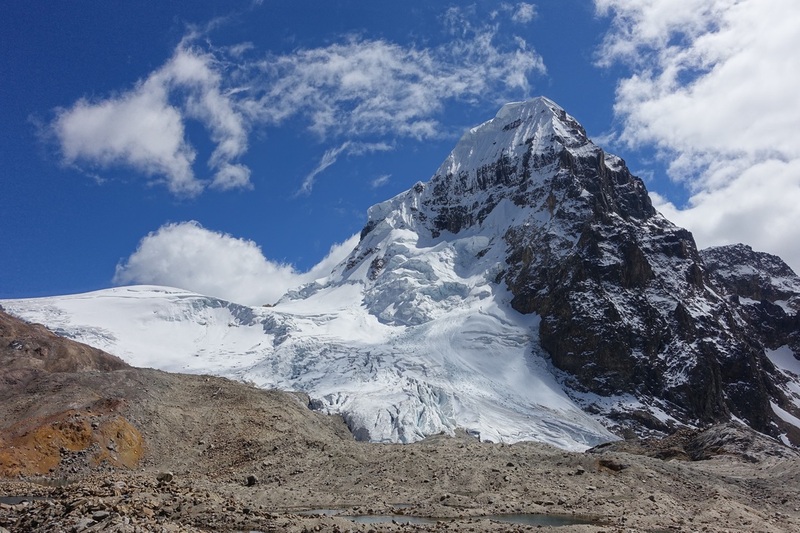 The west face of the Siula Grande peak is no longer considered climbable. 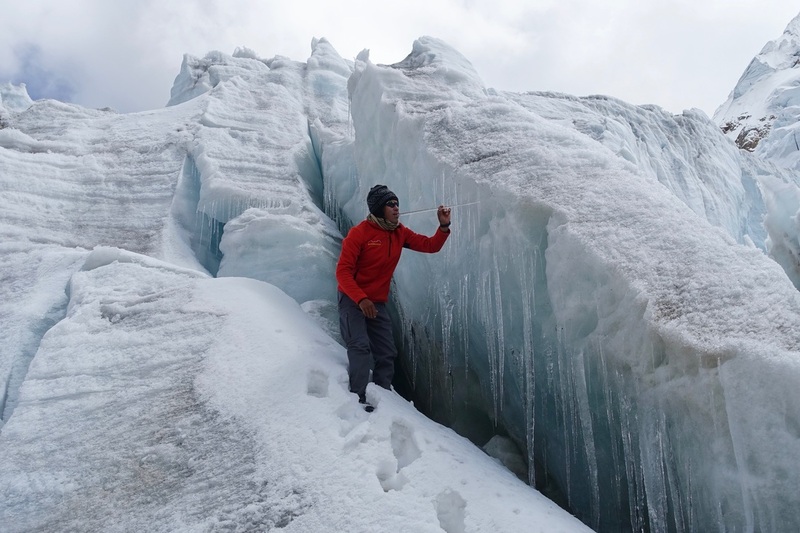 The ice is even more unstable than what was described in the documentary/book. 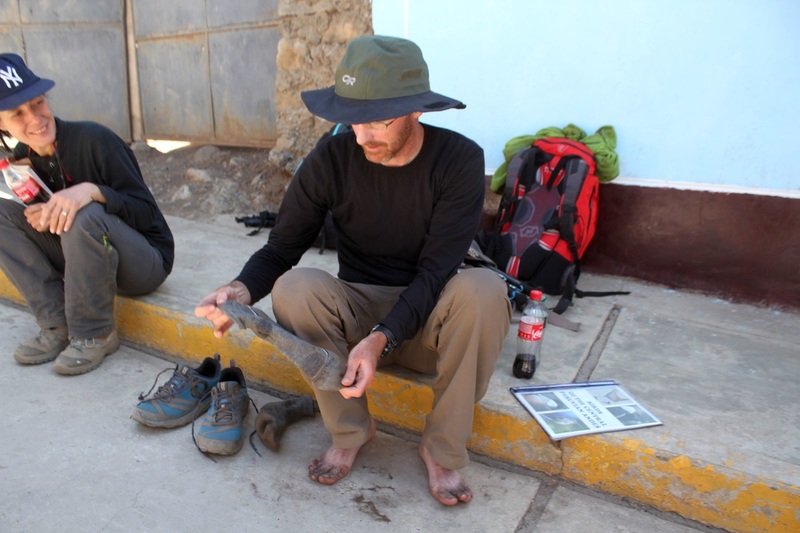 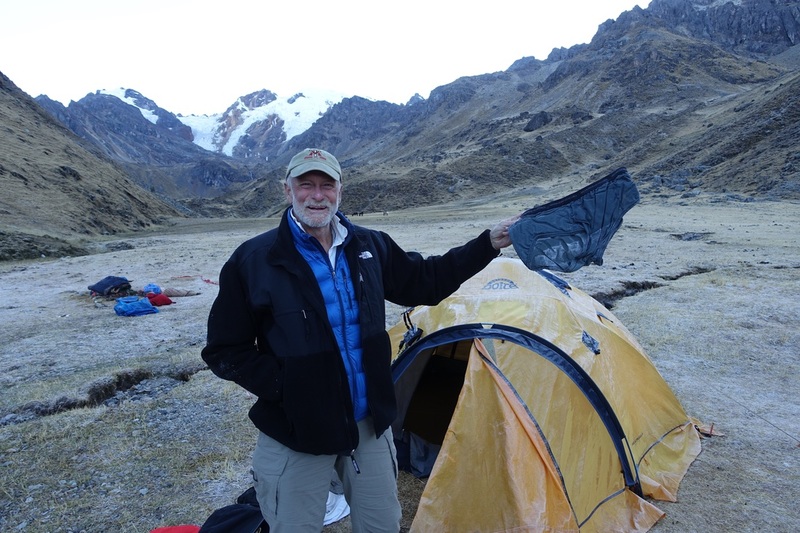 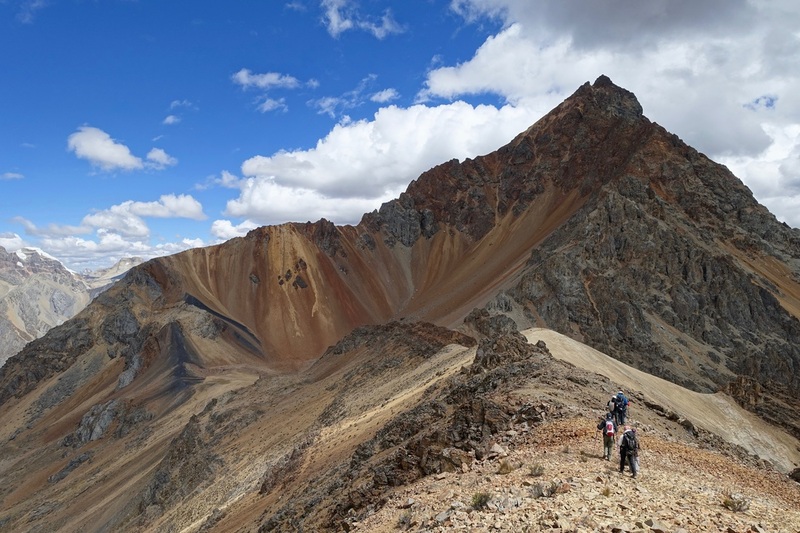 (Day eight) We went below 13,000ft for the first time on the trek, stopping in the village of Huayllapa to get drinks. 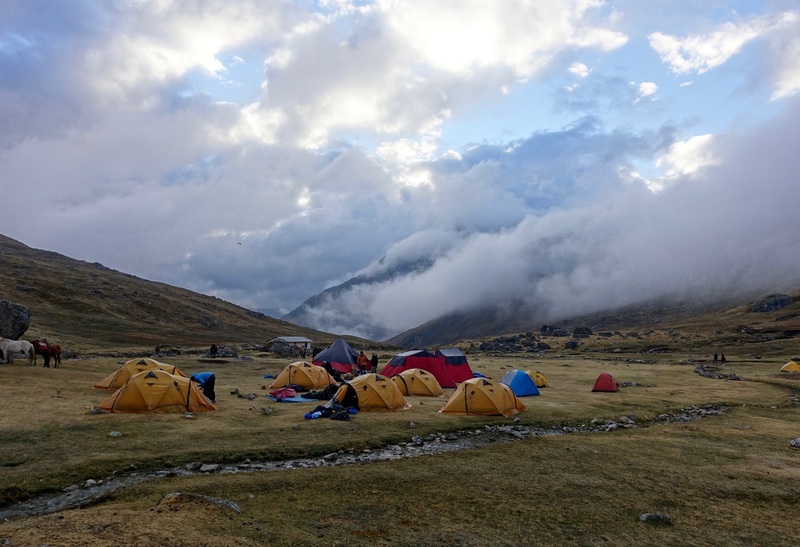 The Huatiac camp was coldest of the trip. 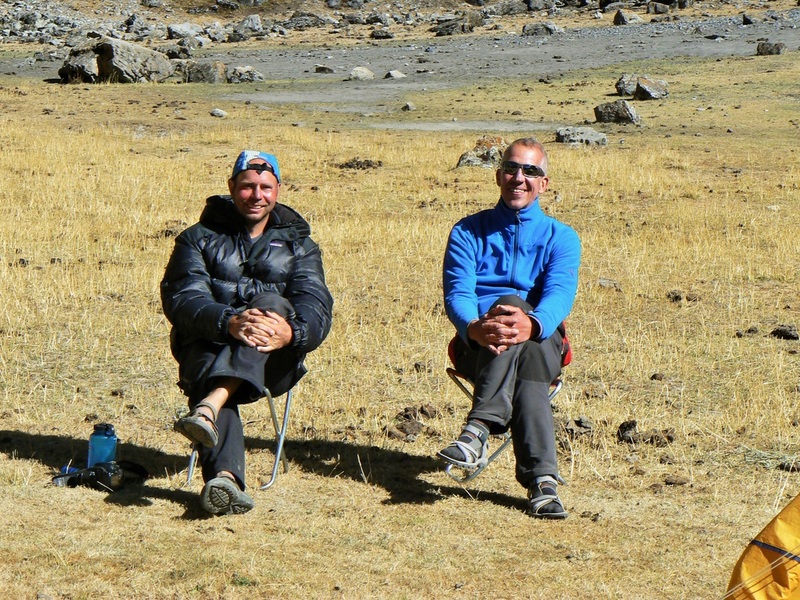 My tentmate Pekka, who liked to sleep naked, even zipped up his sleeping bag. 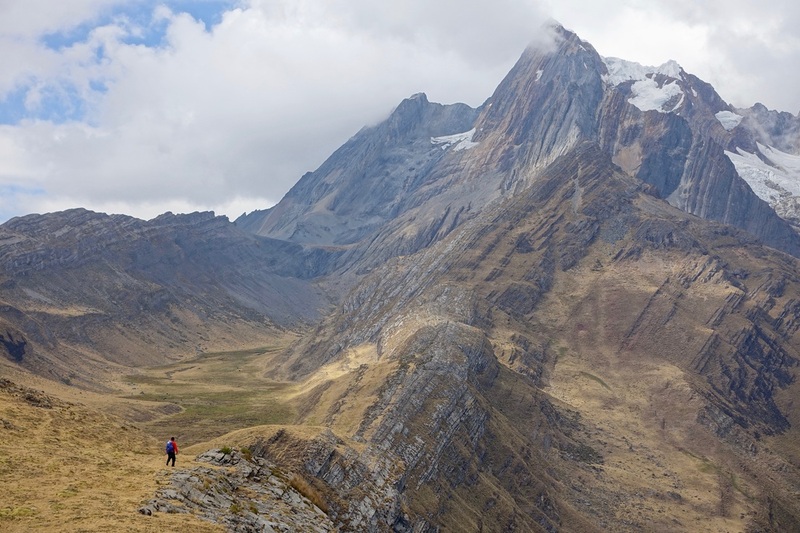 The ridge walk was one of the highlights of the trip. 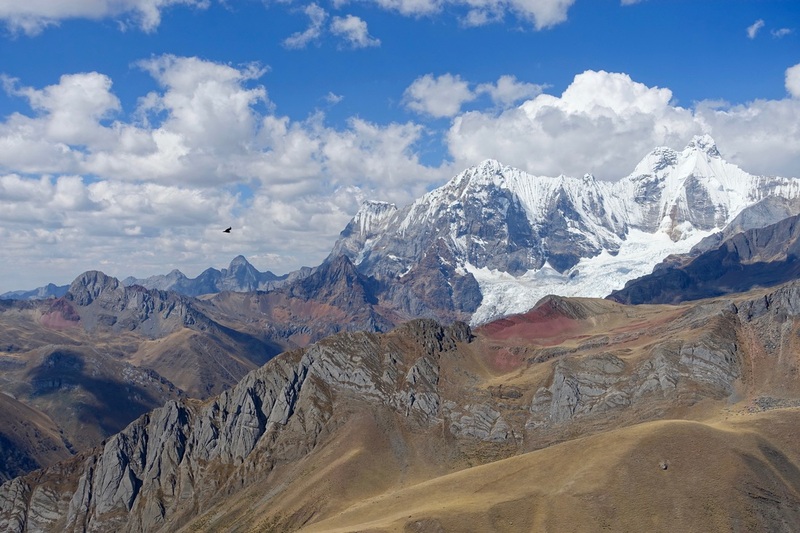 Condors were flying this area looking for food. 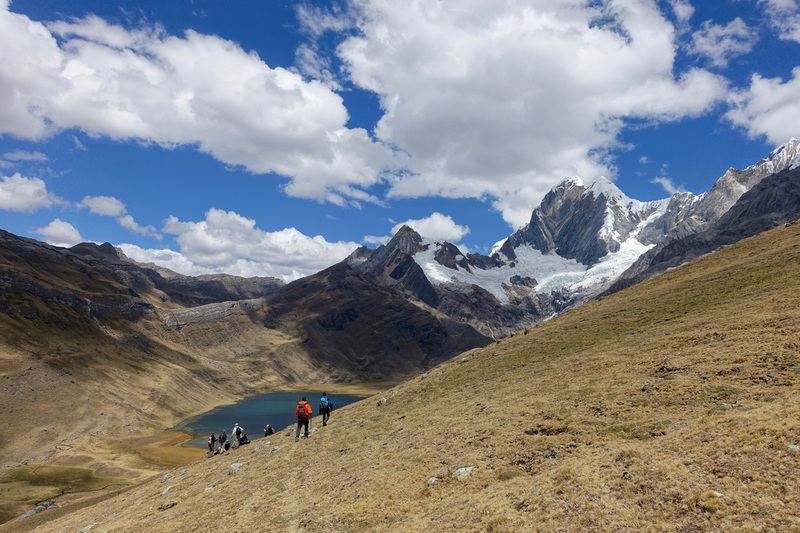 (Day ten) We finished the trek with a downhill walk to the town of Llamac and took the return bus to Huaraz.